A-Roid and others may be suspended for 100 games. There’s a full-fledged drug problem in Major League Baseball. On every team, players great and small are more than likely using performance-enhancing drugs as we speak. On ESPN’s Outside The Lines, Biogenesis Lab founder Anthony Bosch gave an interview with the sports network where he went into detail about his 20 or so clients from baseball and discussed the performance enhancing drugs he delivered to said players. We’re not talking scrubs, either. 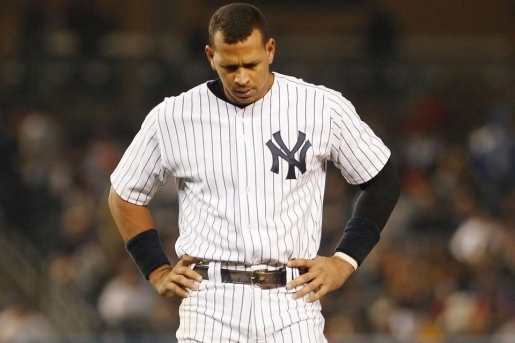 Among the big names are admitted steroid cheat Alex Rodriguez, caught steroid cheat Ryan Braun, David Ortiz, and a host of other big-name ball players. Baseball is looking to suspend up to 20 players as a result of the investigation. Increasingly, as the steroid generation comes of age and becomes eligible for the Base Ball Hall of Fame, voters face a decision. Vote in the best players of a drug-fueled generation of baseball players (though drugs have been part of baseball forever), or continue to leave the Hall of Fame vacant.